Using steel beam as attachment creates a free surface on the slab and can be used for other work tasks. 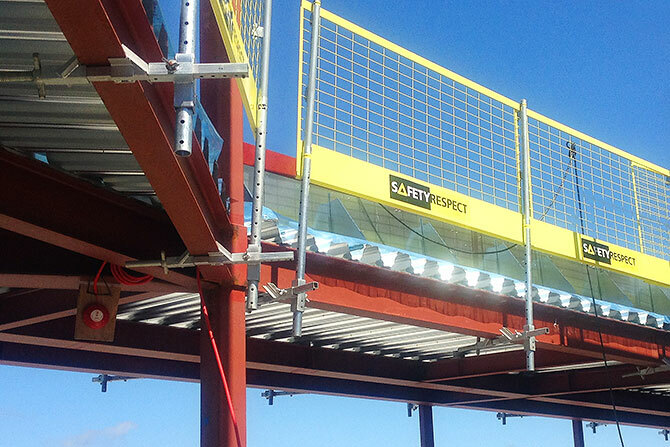 The edge protection will then be positioned outside the working space. 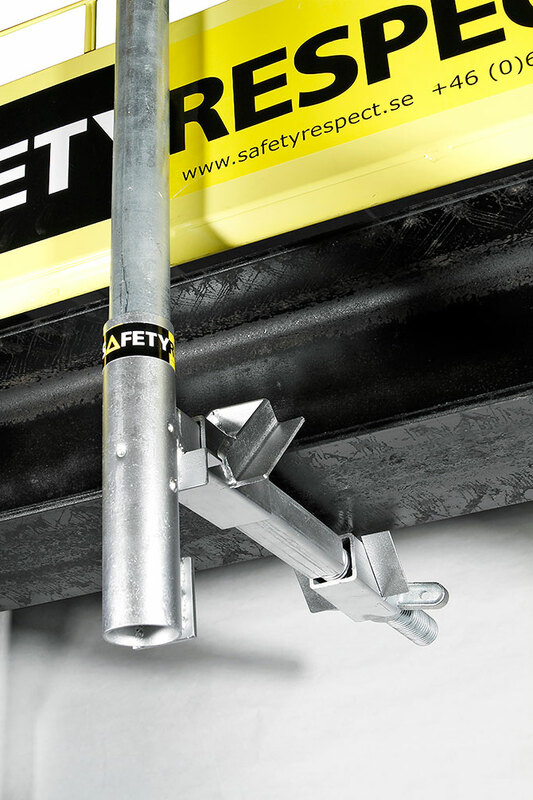 On steel beams with a flange a Steel beam clamp can be mounted in order to quickly create an attachment for the edge protection. 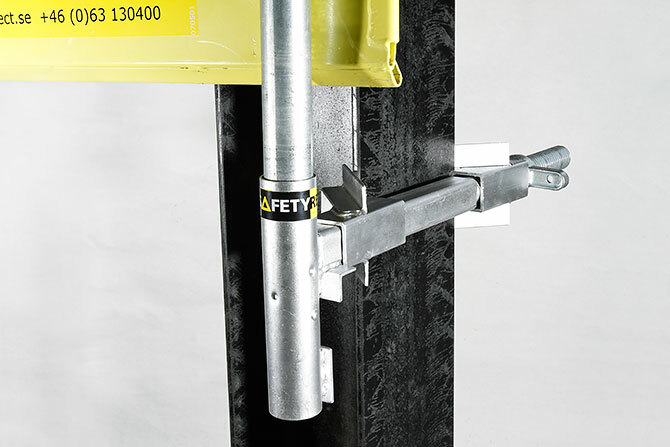 The clamp is designed so that is has jaws that grip the steel beam profile. 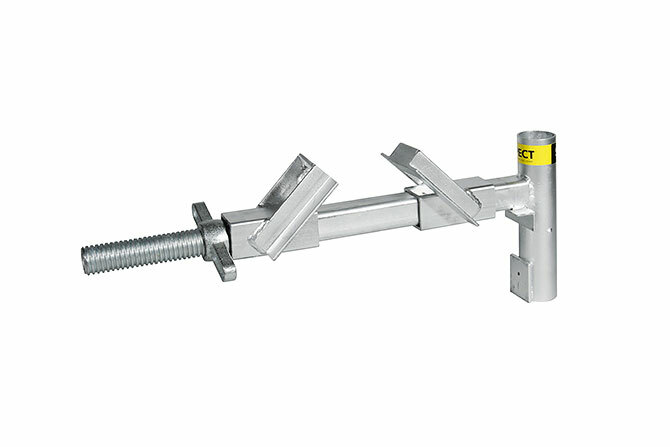 The steel beam clamp has an integrated attachment for Post 1,3 m. Barrier 2,6 L is installed directly onto the post lock and its height can easily be adjusted in order to facilitate different work tasks.